Nothing has been “orderly” about the last 12 months, and as a result, book orders have been delayed and a few orders fell between the cracks. Worst of all, several boxes of books got packed into storage which now (according to Harrison Moving) can’t be retrieved without a minimum $160 fee. Every single thing in my life took a hit from The Bad Thing™. I have seven books left. That’s it for now. After these seven are gone, I’ll probably do one more reprinting and then that’s the end of the run. 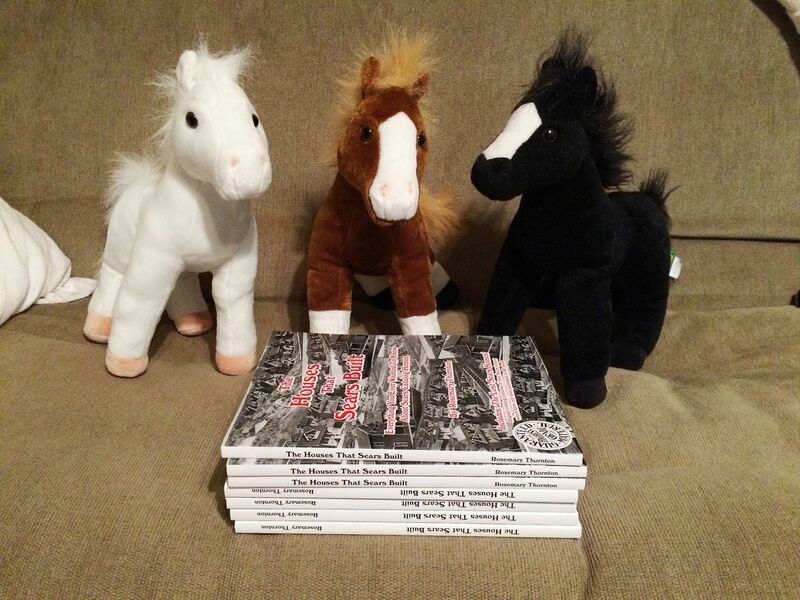 Horise I, Horsie II and Horsie III are guarding the last seven books. The last seven copies of "The Houses That Sears Built." Penniman is another fascinating story. More on that here.